Would you like your company to be featured on Keeping it Simple? I would love to write about it! I do sponsored posts, product reviews and giveaways! I have been blogging for 91/2 years and have a great fan base! I love to create easy recipes, crafts, DIY and more! 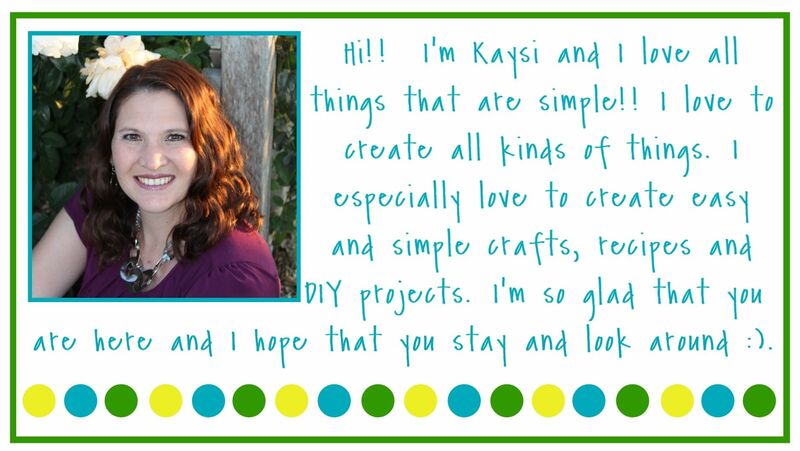 For more details and pricing, please email me at kaysiscrafts@gmail.com. I love to do product reviews and/or giveaways for companies! !For disclosure, go here.